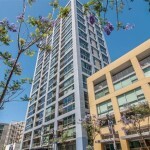 According to the latest data released by the San Diego Association of REALTORS® for March 2019 and published via InfoSparks, the San Diego real estate market is not really experiencing a momentum slow down as previously predicted and seems to be trending towards for massive acceleration in 2019. Prices continue to rise ↑ despite the sales reduction. The statistic that has complicated our 2019 real estate market ‍♂️ is now declining quickly as we experienced a 9.0% increase in homes  listed for sale this March as compared to last year. That last statistic has been stuck in the double digits until this month (last months figure was a 22.4% increase). 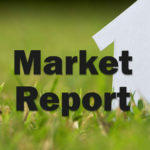 The market is picking up steam as we head into the “hot” spring and summer home buying season. Median Sales Price: $556,750 (Up +1.6% from last year), Chart Below ↓, view the chart as it’s in real time and stats do change. San Diego’s Real Estate Market Has Shifted. 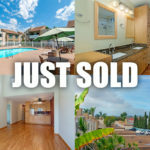 We are still seeing a reduction in the number of sales in the San Diego County area for the last 12 months but that reduced amount is shrinking fast. Prices haven’t stop increasing. The slow down experienced in the winter appears to be fading and home buying is picking up steam. It’s a critical time to choose a great REALTOR to work with and there are some really good ones in San Diego. They’ll help you safely navigate this crazy real estate market to find your next home. If you have any questions about buying or selling a home, please let us know. We’re here to help whenever you need us. You can CLICK HERE to meet our REALTOR®. These statistics and numbers encompass all of San Diego County and the surrounding areas, including Downtown San Diego, North Park, Normal Heights, Mission Hills / Hillcrest, Del Mar, Pacific Beach, Clairemont, Ocean Beach, La Jolla, Point Loma, and Mission Valley. If you need a local Realtor to help you better understand these numbers, please contact us. We’d love to hear from you!